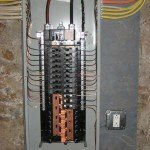 What is the appropriate size for your electrical service? 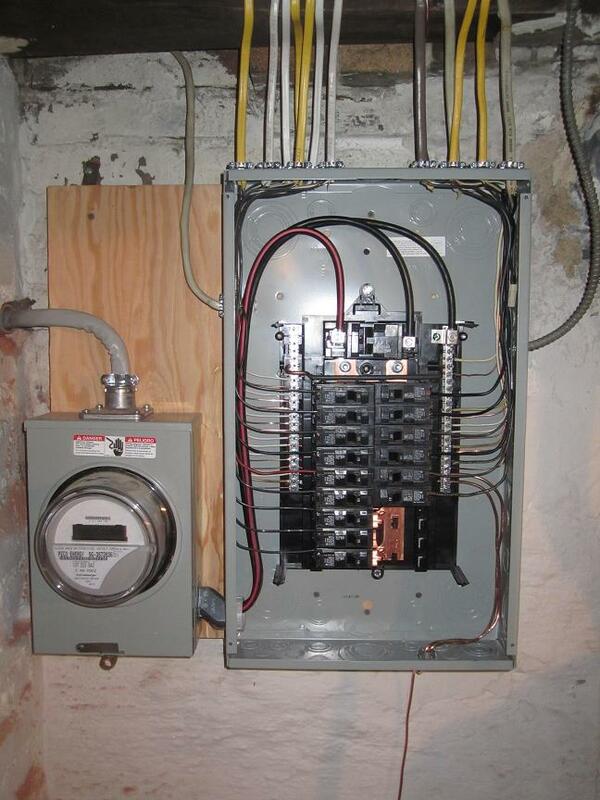 As electrical contractors, we are frequently asked if services should be 100AMP or 200AMP. Many homes have the same basic appliances that require dedicated wiring like washers, refrigerators, disposals, and microwaves. A 100 AMP service can handle these loads as well as your general lighting and outlets. If in addition, you have a combination of an electric oven, heat pump or an electric hot water heater, you more than likely need a 200 AMP service. Essentially, the size of your service is determined by the total calculations of your electrical loads made by a qualified electrician. 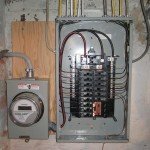 To have your electrical load calculated, contact your licensed electrical contractor at Lauterbornelectric.com. 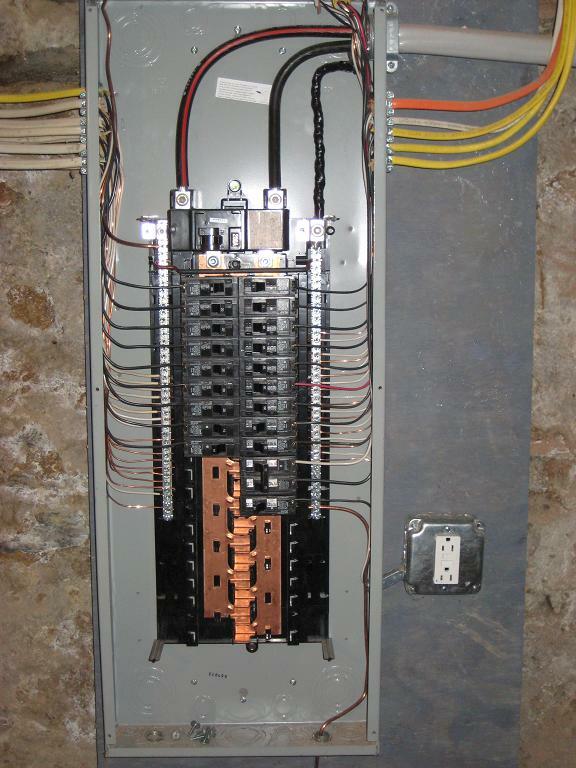 The picture on the right depicts a 100AMP panel while the picture on the left displays a 200AMP panel. 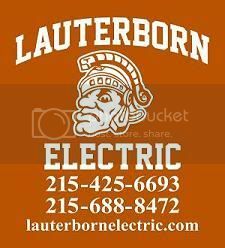 All work done by Lauterborn Electric. Click on images to enlarge.